Has Hilary Lappin-Scott had enough? Rumours are sweeping a contentious university where the Vice-Chancellor (VC) has been suspended, a major investigation is underway into a questionable multi-million pound land deal, and a scurrilous dirty tricks campaign is being conducted, that one of the senior officials who was an early favourite for the top job but was not even selected for interview, may be on the point of leaving, The Eye can reveal. 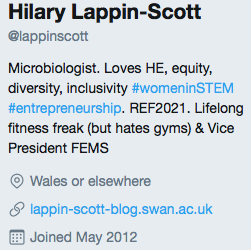 Sources at controversial Swansea University have told us that Hilary Lappin-Scott, the Pro Vice-Chancellor (PVC) who sent tweets from around the world which enraged staff could be forced to consider her position. The news has added potency after one of the latest in a long line of libellous emails to staff in a continuing underhand campaign at the university which we have been alone in reporting appearing to support Professor Lappin-Scott and saying she could lead the institution to an ‘era of gold and honey’, had ‘congratulated’ her on an appointment. A recent anonymous email from ‘Your friend’ included earlier messages, and in full stated: “Dear Hillary (sic), Congratulations on the appointment. Please, tweet your success and update your Wikipedia page. Your Registrar can advise on that..(libel)..Your friend P.S. : I hope you will appoint Phil Parry as Director of Communications. That will be one in “the eye” for her friends in the East!”. It added: “Appended below you can find the previous installments (American spelling) and alleges there has been “A trial by media, a kangaroo court, a selection of evidence and suspensions before interviews – almost as if the facts were at odds with the desired outcome”. 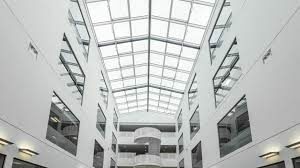 The Eye are the only media outlet to have reported that the astonishing internal campaign revealed exclusively by us has increased at Swansea where the unprecedented inquiry is underway into the land deal, as a new VC, Alison Jones is about to be formally announced. Professor Jones’ suspended predecessor, Richard Davies, the Dean of his management school which has hit the headlines, Marc Clement, as well as two other executives are all being investigated. It emerged at the same time, that the chair of the governing body at the university, Sir Roger Jones, has resigned from his senior role with a company where Professor Clement was a co-director, although a spokeswoman at the institution stressed that this was “wholly unconnected” with the top-level inquiry. Journalists on The Eye were the first to break the news that the unparalleled suspension of Professor Davies at Swansea as well as his senior officials, and the remarkable investigation launched at the same time, was linked to a huge £200 million regeneration scheme called the Delta Lakes (Llanelli Wellness Village) City Deal. 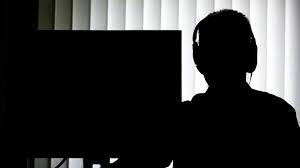 We have also disclosed how the anonymous email campaign was being used as top officials jockeyed for position to take over, and distance themselves from what had happened. The university’s involvement in another enormous plan – this time overseas – is also part of the investigation. Officials are examining a ‘joint venture’ in a £600 million proposal for a private medical university and hospital in Kuwait, which aimed to attract 5,000 students. Professors Clement and Davies were on the proposed academic board for the project and the controversial Carmarthenshire council Chief Executive, Mark James, is listed as a trustee. Evidently he or she is unaware of legal rules because as these emails have been published to a third party they fall within the remit of libel laws. If this person can be identified, then legal action could follow. But the internal messages at Swansea, although intriguing, are not yet part of the inquiry. despite the fact they have named a central figure in the Wellness village scheme. Now staff have informed us that they believe Professor Lappin-Scott may be about to leave. Among the evidence is her own Twitter profile which now states “Wales or elsewhere” where it used to say “Swansea”. Clearly university staff are unhappy and demoralised. “Lappin-Scott was, and is, a key member of that regime. “Rhodes has no doubt seen through the smoke and mirrors of Lappin-Scott and her self-promoting shenanigans and it is now only a matter of time before she leaves or gets asked to leave. Her position is untenable”. The university, though, has strongly denied that the Professor has left, telling us firmly: “Professor Lappin-Scott has not resigned from the University”. But this information has not stopped the rumours at Swansea that she may be ABOUT to resign. Hilary Lappin-Scott’s ‘global recognition’ has been ‘negated’? 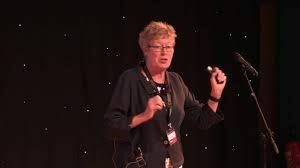 Yet despite not getting the top job, Professor Lappin-Scott has been no stranger to bad headlines in the past, after we revealed she had sent tweets from her travels around the globe on university ‘business’ which have infuriated her own staff. One of the emails which appeared to back her and was sent to staff from ‘Your friend’ said: “… the wonderful work of Professor Hillary (sic) Lappin-Scott and its global recognition (has) been negated by (recent) events”. 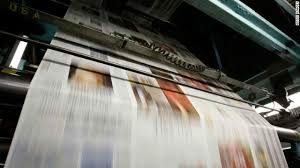 We have shown how previously ‘your friend’ has drawn the attention of staff to mainstream media coverage about the crisis by the Western Mail, as well as The BBC, and included links, before stating: “It would appear that decisions with such far reaching consequences for Swansea University’s future as well as the wellbeing and reputation of individuals who have played a critical part in ensuring your University’s future has been dealt with by a Kangaroo Court of sorts…”. An earlier ‘friend’ email to academics at the scandal-hit university, read: “This is clearly a David and Goliath situation.… one of my friends in a Welsh law firm estimated that the fees to the London law firm would have already exceeded GBP 100,000.”. Professor Davies has also been supported by ‘Your friend’ in one of the emails using an address marked ‘Isvtitia’. Workers at Swansea were ‘informed’: “P.S. : I remind you of the plea for Professor Richard B Davies’reinstatement in time for the Graduation Ceremony – do not forget to vote (it is completely anonymous!)”. 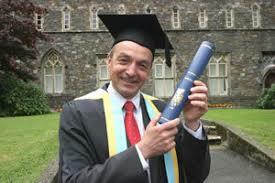 But Swansea University and its School of Management have hit the headlines before. 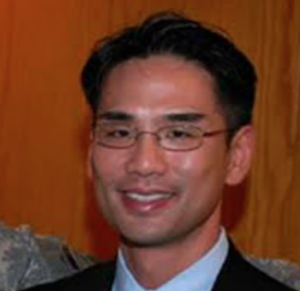 We have exposed Steve Chan, a so-called academic who had been jailed for many years in the USA after a massive fraud yet was employed by Swansea University, before moving on to another company, and went to live with his mother in Poughkeepsie, New York. On March 1 2016 Chan appeared as a panellist representing Swansea University at a St. David’s Day event in Brussels called Digital Destination: Creating Value and Improving Lives. 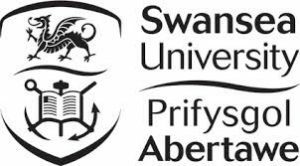 The publicity for it declared: “Swansea University is delighted that Professor Steve Chan will take a leadership role in driving the Big Data agenda forward for Swansea University’s School of Management”. More recently, though, the university has been reluctant to give information to The Eye about Chan or his employment. The scandalous school itself has also made the news for all the wrong reasons. The former Dean, Nigel Piercy, left under a cloud after two turbulent years in charge, and contrary to convention, his death (which we first revealed) was not marked in traditional fashion by Swansea. Professor Piercy quit more than three and a half years ago, after relentless pressure from The Eye, when he clashed repeatedly with staff, warned them the school was “not a rest home for refugees from the 1960s with their ponytails and tie-dyed T-shirts”, and described trade unionists as “unpleasant and grubby little people…usually distinguished only by their sad haircuts, grubby, chewed fingernails and failed careers”. In the ‘grievance’ letter after his suspension, Professor Davies says the project now under investigation takes up 75 per cent of the “column centimetres” in the letter he received with the rest detailing allegations that he “failed to assure appropriate due diligence, governance and systems of control around major projects and commercial activities of the university”. Among Professor Davies’ statements in the ‘grievance’ letter which was published, include the lines that after the meeting at which he was suspended, he was followed by one senior executive and another member of the University Council to his room, “(One) acted as the ‘soft cop’ and (the other member of the council) as the ‘tough cop’”. 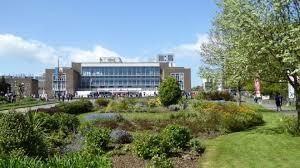 With all this controversy swirling around in the background, Swansea University staff have told us they are amazed by the university’s ranking in recent tables, and that Professor Davies offers ‘good value for money’. An article from 2005 in Private Eye gives a flavour of Professor Davies’ reported background. It is headlined ‘University of Wails’ and describes the cuts “planned by vice-chancellor Prof Richard Davies and his managers; and (how there was) a further complaint over Davies’s appointment of (an old mate) to head the new school of management at an annual salary believed to be around £105,000″. More recent events involving Professor Davies and his managers are also in the news – perhaps a new story could soon be one of his senior executives leaving? Next week Edwin Phillips reads a congratulatory Press Release from Swansea University to the mainstream media applauding them for ignoring the internal dirty tricks campaign.